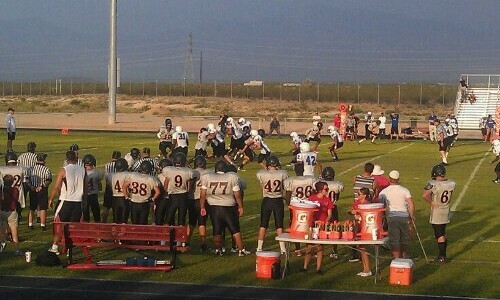 Tonight was the first preseason scrimmage for Empire Varsity football. 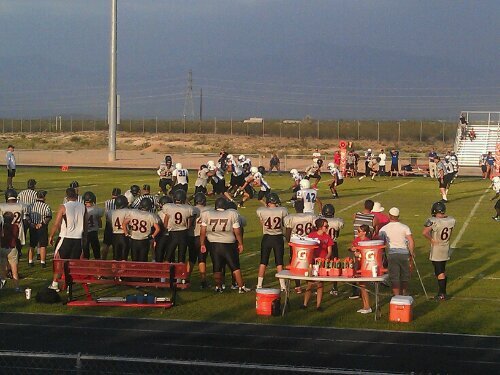 Sean started at defensive tackle tonight. He just wont the position the day before and the coach told him to show him what he could do. Boy did he. Some really good hits and tackles tonight including one where he flipped the running back who tried to jump over him. Definitely caught the eye of the coaches! Toss in a fumble recovery and hopefully he has kept the starting job coming opening game next week.